Yesterday SUP classes kicked off. It’s something I’ve wanted to teach for a couple years but until now, didn’t have the time…nor a place to teach. Thanks to Invoke Studio, I’m able to turn a dream…a hope…a wish…into a reality. I’m a stand up paddle board (SUP) and SUP yoga teacher. I had so much fun teaching my first SUP intro class and my first SUP yoga class! I’m sure it was a little exceptional because Princess Grace, Kilo, and Man of the Year were three of my first students. What could be better than to see their smiling faces looking back at me…nothing. The best part, they actually said I was a good teacher. I’ve written about my struggle with teaching and whether it’s something I want to do or not. I’ve been told I’m good at it, but it’s not about being good at something. I was good at my old job, too. I want to do something that I love…that makes me light up…that I want to be good at. So to hear their feedback warmed my heart. I’m slowly realizing that the key for me is being able to have fun…to be light-hearted…to be silly. Sure, there’s a time and place for serious instruction and intention setting. I absolutely agree and take those aspects of teaching to heart. But there’s also a time and place for relaxing…letting down your guard…tapping into that inner child…and simply having some fun. That’s what I’m good at. I’m good at finding that balance. I’m good at coaxing that balance out in others. Maybe that’s why Corporate America never felt like the right fit. People didn’t laugh enough…often enough. We took ourselves too seriously. The work we did may have been serious at times but that doesn’t prohibit us from bringing a light-hearted spirit…or a smile to the table. I’m sure some would argue that point — and probably will — but that’s why I didn’t belong. It took me a while to learn that people respond better to leaders…to teachers…that can laugh at themselves. That smile…and genuinely care about the type of day their students (or employees) are having. People spend so much time at work that it really should be more fun than it is. I think if it was, the world might be a little gentler place…at least my world would have been. But until it is, I get the privilege of helping those that do work blow off some steam…to enjoy themselves…to take a breathe…smile…relax. I get to help them hit the reset button. And maybe eventually, I’ll get to influence how they show up in life….maybe they — like me — will see that the world doesn’t have to be so serious all the time. That we can still work hard with a smile. Since I’m currently fulfilling a dream teaching SUP/SUP yoga, I’m going to make this my new dream….that we learn to smile more…in everything we do. Read more from Candy on her person blog: 365go.me. Also, be sure to check out her Stand Up Paddle Board (SUP) classes this summer. Register at invokestudio.com/schedule! 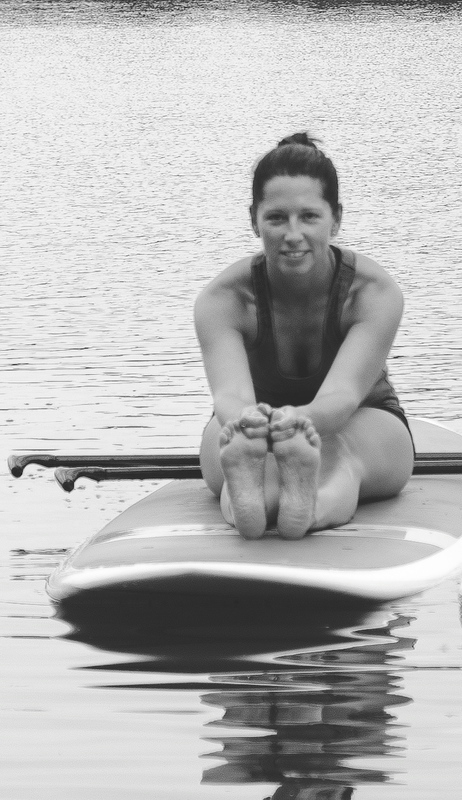 Categories: Uncategorized | Tags: Stand Up Paddle Board, SUP, SUP Yoga, yoga | Permalink.